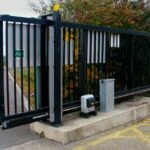 Keypad Operations: Telephone Dial, Speed Dial & PIN Coded Entry - With "Allow Telephone Dialout"
The CyberData Secure Entry Phone has two options. With or Without a Keypad. This post explains the features of the 12-Key Keypad with illuminated backlit keys. Our Secure Entry Phones are SIP enabled IP endpoints. This gives you two modes of operation. VoIP is the most popular architecture to adopt. The device is more powerful and flexible when integrated to an IP-PBX (SIP Server). This is the protocol the door phone was designed and made for. Point to Point is deployed, when there is no IP Phone System in place. See the video at the foot of the page on P2P. Call 1 – 10,000 (unlimited) extension numbers within the enterprise. If you know reception is Phone Extension 208, press 208 on the Keypad. Extension 204 could be part of a hunt group and call a mobile. Similar to the above, but a quicker way to call. If you had a location with multiple buildings. You could speed dial buttons 1-13 (shown above). Button 1 could call an extension in building A. This could even form a hunt group and reach multiple IP and Mobile Phones. Button 2 could call a phone number in building B and so on. 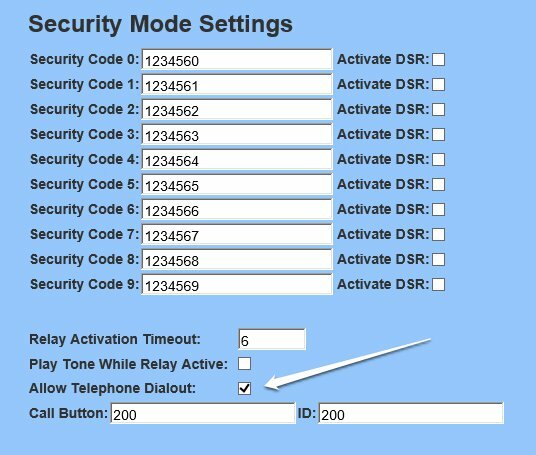 Security mode allows the user to secure the local or remote relay by requiring a code (up to 8 digits) to be entered into the device’s keypad. The security codes may be entered within a phone call to a pre-set extension or independently. If “Allow Telephone Dialout” is not enabled, the device acts like a one button intercom. The Call Button will call a pre-set extension specified on the web page and a user can enter a security string directly into the keypad. If Allow “Telephone Dialout” is enabled, the Call Button will call the pre-set extension. Also, the user can either press the # key to enter the security code or simply dial an extension to make a phone call.